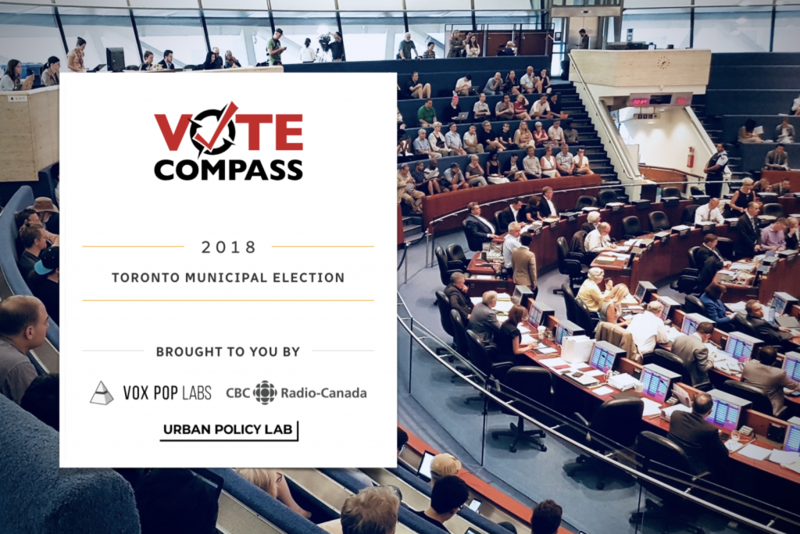 The Urban Policy Lab is excited to partner with Vox Pop Labs and the Canadian Broadcasting Corporation (CBC) to enhance the Toronto municipal election edition of Vote Compass, an award-winning application that informs voters on how their views align with those of the candidates running for election. Utilizing data from our newly launched Council Scorecard project, Vote Compass users can now learn not only what mayoral and council candidates promise to do if elected, but also how these promises compare to the actual voting records of council incumbents. The Urban Policy Lab developed the Council Scorecard in collaboration with municipal affairs analyst and columnist Matt Elliott, who created the original Scorecard in 2011 to track votes at Toronto City Council. It soon became a frequently used resource for city staff, politicians, activists, and engaged residents to understand councillor voting patterns. In Summer 2018, the Urban Policy Lab teamed up with Elliott to expand and enhance the Council Scorecard as a civic education and democratic accountability tool to help the public keep tabs on their local elected representatives and provide a resource for researchers to compare voting behaviour in different municipalities. The goal of the Council Scorecard is to present municipal voting records in compelling and accessible formats to make it easier for people to learn how their local representatives voted on issues that matter to them, their community, and the city as a whole. Our partnership with Vox Pox Labs and the CBC on Vote Compass is our first effort toward these ends, with more creative applications to come. Learn more about the Lab’s contribution to the Vote Compass project here, and be sure to try Vote Compass for yourself to learn about all candidates for Toronto City Council and the voting records of current councillors.